Apple To Release 7 Inch Or 5 Inch iPads In 2011? According to DigiTimes, who are quoting their own research, Apple [AAPL] is going to release a smaller version of the iPad, early in 2011. We have heard this rumor before, that Apple would be releasing smaller versions of the iPad, even before the first version was launched. 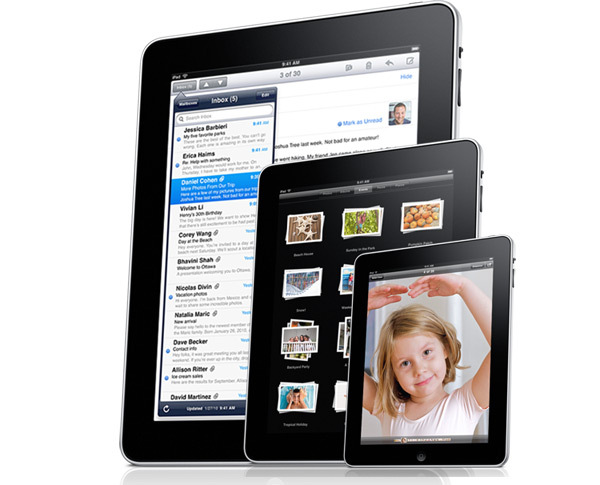 Digitimes are saying that the information has come from suppliers who could be supplying parts for a smaller iPad. This would definitely make sense for Apple, to have a smaller iPad, which would fit in between the iPhone’s size and the iPads size, and would probably retail for less than $400. Who knows maybe Apple will release a couple of different sized iPads, although smaller versions may steer people away from devices like the iPod Touch, if they produced a five inch version this would probably be a lot more appealing than an iPod Touch.